The second instalment of the National Festival of Making returns to Lancashire « Adafruit Industries – Makers, hackers, artists, designers and engineers! 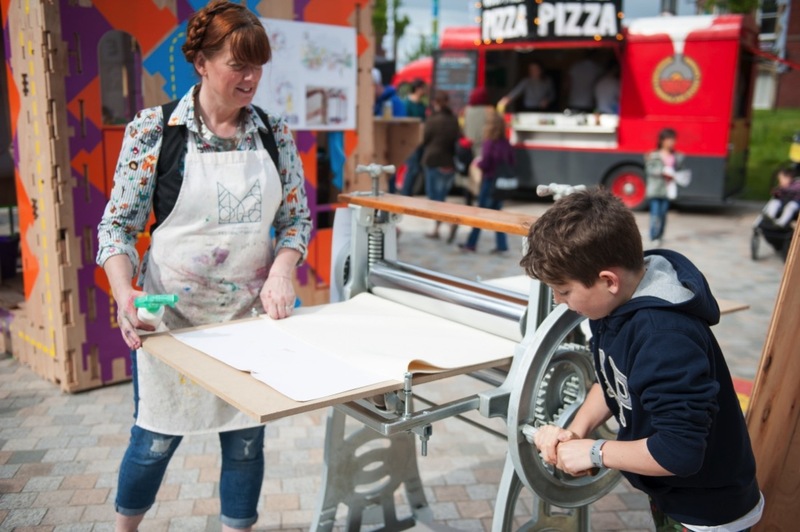 Following a stellar first event in 2017, the second edition of the National Festival of Making will return to Blackburn, Lancashire, on 12 and 13 May 2018. The first free to attend, two-day event flooded the town with visitors from far and wide, drawing curious beginners, experienced makers and inquisitive families into 48 hours of making inspiration. The upcoming event promises yet more moments of inspiration for its anticipated second year. The promise of ‘a new kind of festival for a new age of making’ by co-founder, supporter and Lancashire-born designer, Wayne Hemingway, was fulfilled with 30,000 people taking part in over 100 making experiences, encountering 57 invited makers, spanning food, technology, major manufacturing, engineering and crafts, alongside indoor and outdoor markets, street performance, art installations, film screenings, celebrity cookery demonstrations and the opportunity to experience making with some of Pennine, Lancashire and the UK’s most significant manufacturers.